Do we have to say it again? O.K., we hate to keep bragging, but yet another highly respected research firm has placed Washington State at the top of the heap when it comes to the U.S. aerospace industry. PricewaterhouseCoopers (PwC) scored Washington highly for its overall industry, infrastructure, economy and workforce. The closest competitor was Texas, then Georgia. South Carolina came in a distant 17th. 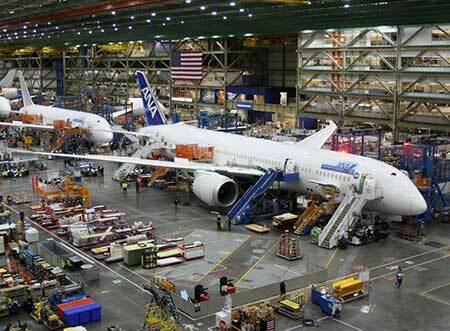 For more than a century, Washington has led the way in the U.S. aerospace industry. The state produces nearly 90% of all commercial aircraft produced in the United States, including all of the 737s, 767s, 777s and the vast majority of 787s. More than 1,400 companies support the state’s aerospace supply chain, supplying every manufacturer and airline in the world. Washington also has a burgeoning commercial space cluster, with more than three dozen companies building satellites, systems, structures and rocket engines.